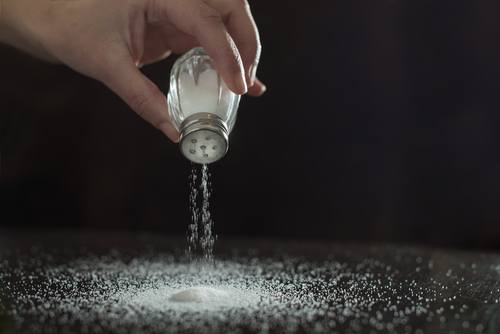 How Salt Can Affect Your Hunger Cravings-Can Reducing Your Consumption Kill Cravings? Salt is a food that makes you thirsty. This is something almost everyone is aware of but in reality long term high sodium intake reduces the amount of water you drink. Recent studies have also found that diets high in sodium cause the individual to feel increased hunger which is believed to be the cause of additional weight gain as a result as well. Traditionally science has told us that the body likes to maintain a state called homeostasis, or balance within the body. One of the things the body tries to regulate through this process is the salt to water ratios in our bodies. Logically the thought process here is that eating more salt will cause us to drink more water to counteract the imbalance on our bodies of eating that salt in the first place. 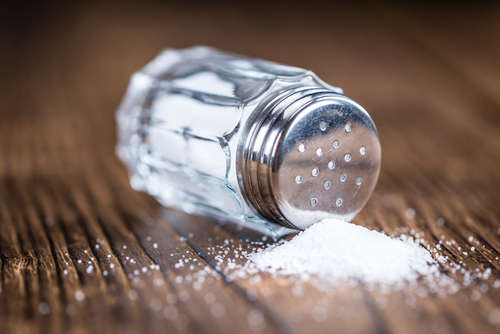 The reality however is that recent studies have shown the opposite effects, that eating less salt actually increases the amount of water consumed by the individual. The study showed that people drank less water on a high sodium diet and also ate more food as a result of a high sodium diet as well. The reasoning why the body is hungrier and thus consumes more food on a diet high in salt is again linked back to the idea of homeostasis. The body has to keep the levels of salt and water in balance, and in order to do so, it requires energy. Using up all of this energy to maintain the proper salt to water ratio in our bodies requires more energy which makes us hungry. When it comes to our diets, there are some salty foods we should just avoid. Here is a small list of some of these high sodium, unhealthy foods. When dining out, sauces and dressings are the number one thing to look out for. Sauces and dressing can easily take a well balanced, healthy meal and turn it into an unhealthy meal full of additional unhealthy fats and empty calories. Most marinades and dressings taste salty so it isn’t surprising that they do have salt, the surprising part lies in the sheer amount that they have when compared to everything else we consume. First of all the serving size on most salad dressing and sauces are a joke, they are usually a fraction of what the average person would use. More often than not you are at least doubling the serving size of most of these products, as most serving sizes are only a tablespoon or two. A serving(or two) of salad dressing is going to have around 20-30% of the salt you should eat for the day, which will vary depending on the type or dressing or sauce. Getting almost a third of your daily value of salt from just your dressing is something difficult to wrap your head around. When possible make your own dressing and sauces, and when going out limit yourself as much as possible. Most people know that the average white bread or bagel is unhealthy because of the processed flours which can spike our blood sugar, which can lead to problems like obesity and diabetes. Another reason to avoid these foods however is because of the high amount of sodium they contain. Your average bagel will contain about 450mg of sodium which is about 20% of what you should be getting daily, at the maximum. Bagels and white breads are high in sodium just plain, and that doesn’t account for whatever toppings you are adding to it. Typical bagel toppings like butter or cream cheese, just add additional sodium to the meal which can easily surpass 40% of your daily value in just one meal. If you’re making your own soup you can control the amount of salt that goes in to it, but if you’re buying it from the store like most people do try to buy a reduced sodium version of whatever you’re buying. Soups are another food item that has questionable serving sizes, a box of soup usually contains around 14-16 oz of soup, which is one serving for most people. Most people don’t realize that these soups come in two servings, and more often than not they will have over 50% of your daily allowance in just one box or can. Soup can taste bland without the salt, so if making it yourself make sure to add plenty of herbs and spices to give it flavor. Previous ArticleAre All Eggs Created Equal? Which Varieties Are Superior to Others?